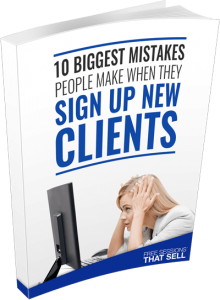 The 10 BIG Client Enrollment Mistakes (don't make these :) - Coach & Grow R.I.C.H. Especially when it came to signing up new coaching clients. There were so many things I just didn’t know. That’s why I LOVE this special report and training video from my friend and coaching business expert Christian Mickelsen. Download the report (and watch the video) here! I just read it and have to say I was guilty of more mistakes than I would like to admit… especially #1 and #8…. Let’s make sure these don’t happen to you! It’s so frustrating to struggle with getting new clients and not really realize why. …And instead start signing up all the coaching clients you want!